Since its founding in November of 1917, the National Hockey League has been a league steeped in tradition. Most recognize that tradition in the form of Lord Stanley's Cup, the oldest trophy in all of professional sports. But there are much deeper and far more meaningful relationships, work ethics and codes of honor and dedication that are cultivated in the league by its players, passed on from generation to generation. The old axiom attributed to Bernard of Chartres holds true in the sport of hockey. In short, if not for today's players "standing on the shoulders of giants" of the hockey's past, there simply is no hockey. Unfortunately, as in life itself, while their legacy may remain, those giants cannot. The Laws of Nature itself dictate that. The hockey world is ready for the NHL to embark on what will be, in the end, just another chapter in its storied past. And with great respect towards those who paved the way for today, we at PensInitiative.com would like to take the time to recognize - admittedly all too briefly - those former NHLers who have left us since the drop of the puck in last season's opener. 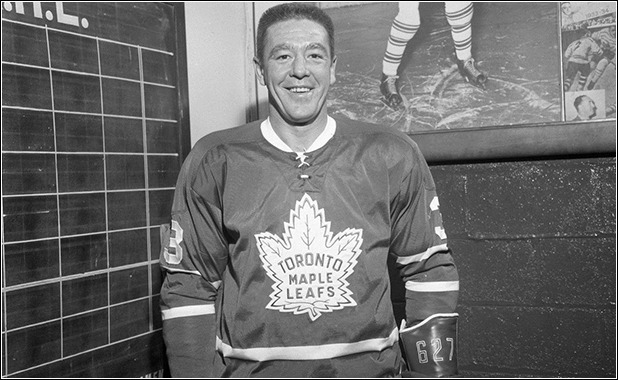 "Talent is a gift, but the success only comes with the job"
Sept 6, 1949: Traded to the Maple Leafs from Cleveland (AHL) in a package that included Ray Ceresino who passed away in 2015. January 5, 1975: Traded to the Islanders for a package that included Doug Rombough, who passed away in June 2015. Scored 5 goals, 4 assists. May 9, 2004: Scored OT goal in Game 1 of 2nd round Flames/Sharks series. Flames would go on to win that series in 6 games. April 7, 1984: Scored 2OT goal to give St. Louis a Game 3 win over the Detroit Red Wings. The Blues would win that series 3-1 the next night. April 26, 1986: Scored OT goal for St. Louis to put the Blues up 3-2 in the Division Finals over Toronto. The Blues would go on to win that series 4-3. Sept 6, 1949: Traded from the Maple Leafs to Cleveland (AHL). 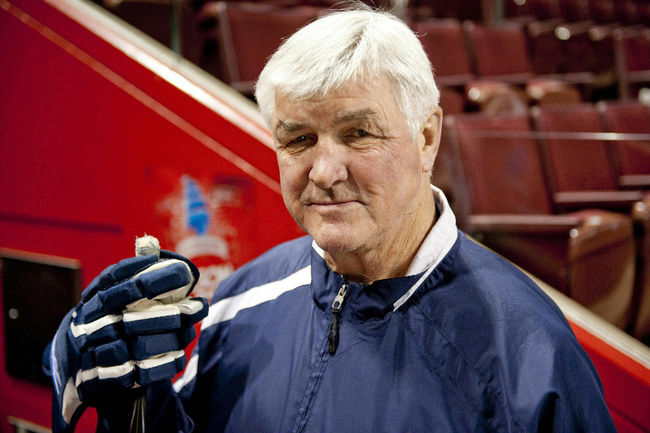 That deal brought Bob Solinger, who passed away months before Ceresino, to the Leafs. 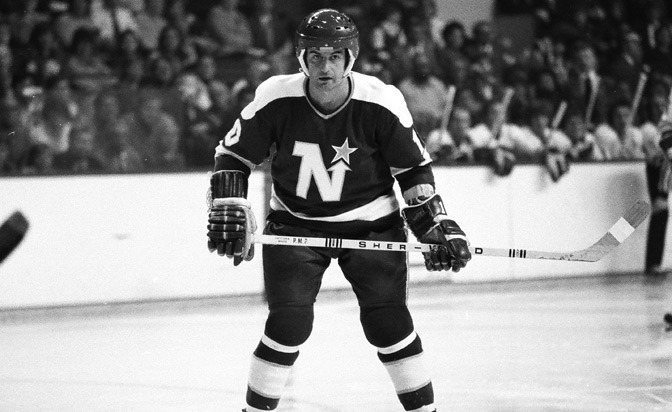 January 5, 1975: Traded in a package to Minnesota for J.P. Parise, who died in January 2015. 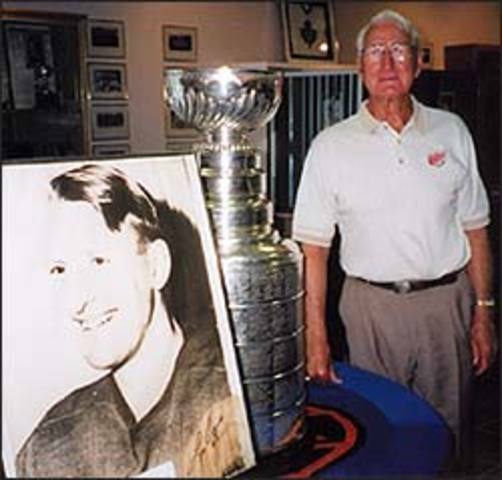 Leo Reise, Jr with photo of Leo Reise, Sr. Led the NHL in penalty minutes 4 seasons, finished in the top ten in 9 total. Won the Stanley cup with Montreal in 1993.